After you get an ideal car radio for your beloved car, you may go to a car radio upgrade center to have it installed by a professional technician. 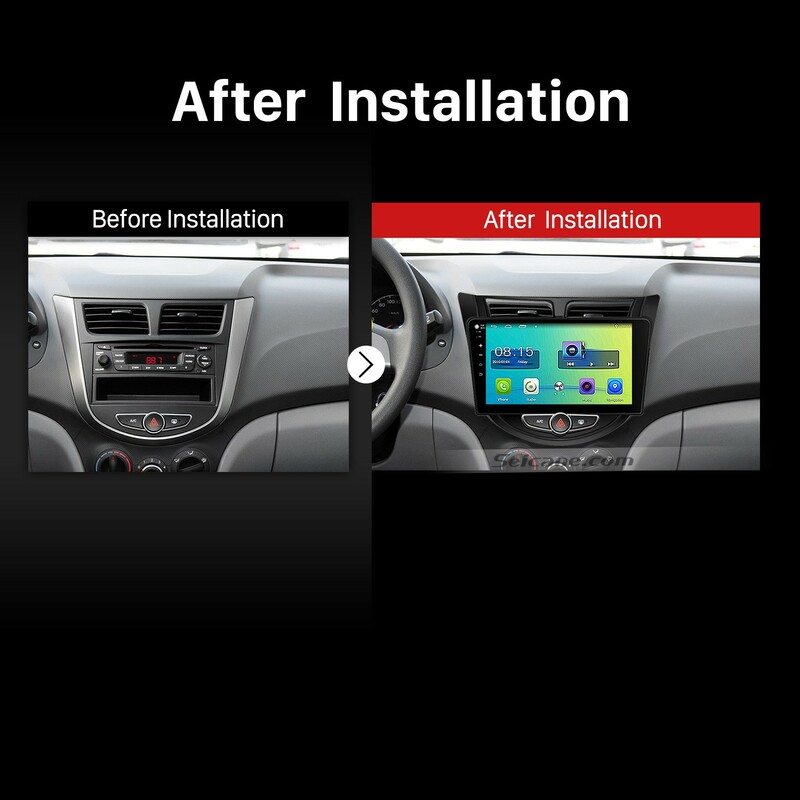 As a matter of fact, if you have some related installation experience, you can find a correct installation instruction to guide you to remove the factory radio and install the new car radio. 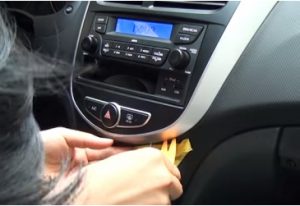 If you own a 2009 2010 2011 2012 2013-2015 Hyundai Verna and plan to replace your factory radio, you might as well read the following 2009 2010 2011 2012 2013-2015 Hyundai Verna car radio installation instruction from Seicane. Wish it can be helpful for you. 1. Pry the edges of the panel with a lever. 2. Remove the panel with your hands. 3. Disconnect the connectors at the back of the panel. 4. Unscrew four screws holding the original radio in place with a screwdriver. 5. Take the original radio out of the dash with your hands. 6. Disconnect the connectors at the back of the original radio. 12. Put everything into their original place. 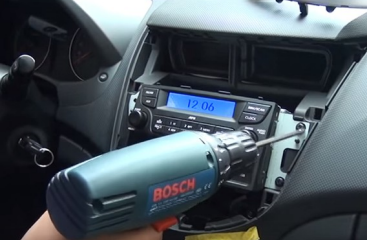 Can you make clear every detailed step of the above guide and learn some skills to install your new car radio? If you cannot, you are welcome to consult your dealer, communicate with someone experienced or turn to a professional for help. 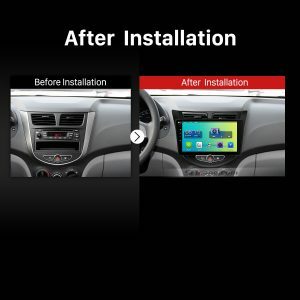 Or you can directly arrange a professional technician to help you install the new car radio if you are afraid of making damage to either your car radio or your car. This up-to-date car radio is loaded with the stable Android 6.0 operation system and a powerful CPU processor to enhance its capability and improve its performance. There are a wide range of practical and entertainment features being supported by this car radio, mainly including high-end 3D GPS navigation system, FM/AM radio, Bluetooth hands-free calls, Bluetooth streaming music, AUX, file management, steering wheel control, etc. Thus, almost all your different needs can be met in your beloved car. Apart from these basic features, some optional functions can be added to this car radio according to your preference and requirement, such as car DVR, backup camera, OBD2 and so on forth. By making full use of these modern features, you are able to create a more convenient and comfortable in-car environment but also a brand new driving experience. Wish you enjoy your wonderful driving accompanied by this car radio. Good luck to you!